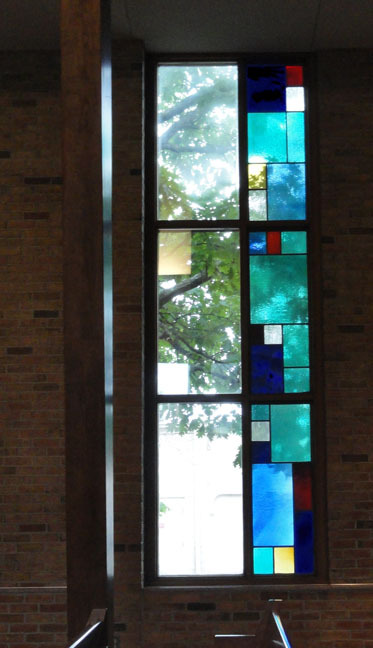 Brief Description of Subject: Bringing to mind the Trinity, some panels are arranged in sets of three and many of the vertical glass panels are further divided horizontally into three sections. Each of the right-side windows is comprised of two vertical sections, each further divided horizontally into three parts. 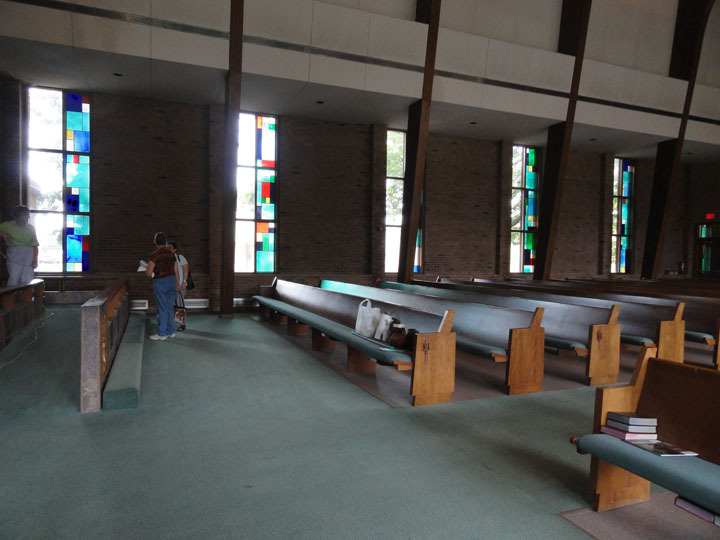 The left side is plain, clear glass and the right side is stained glass. Brick walls separate the window sets. The church’s right side faces south, past a driveway to the back of a strip shopping center.